Be your own boss while getting fresh air and making your own hours! 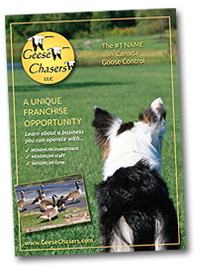 Geese Chasers™, LLC, the Northeast's leader in clearing geese has dozens of franchise territories available. These are exclusive areas waiting for the right person to step in and develop the opportunity. 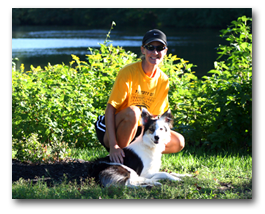 Spending time outside – with loyal, fun-loving border collies – has proven to be a profitable combination. To keep their customers satisfied and maintain a competitive edge, golf courses, public properties, commercial realty, and residential communities are investing dollars to remove unwanted Canada Goose. Geese Chasers™ has learned how to turn this need into a profitable enterprise. Now this is your opportunity. You'll get the training, support and marketing know-how you'll need to run a successful franchise and clear those geese.